Tangled and True: puj sling. PUJ is made to simplify your life, and they truly do simplify. There's not a better sling out there. 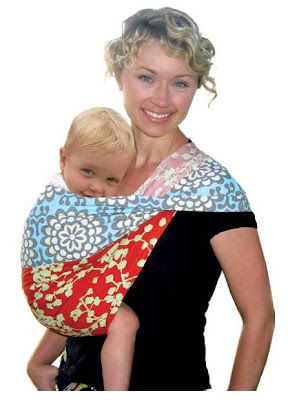 It's easy to put on while holding your baby and folds up small enough to store almost anywhere. No snaps, buckles or buttons, easy to use, comfortable and convenient. I'll go $80. I really, really want this! And I don't mind paying extra to help Nie Nie!